Meet Our Makers: BR Design Co. 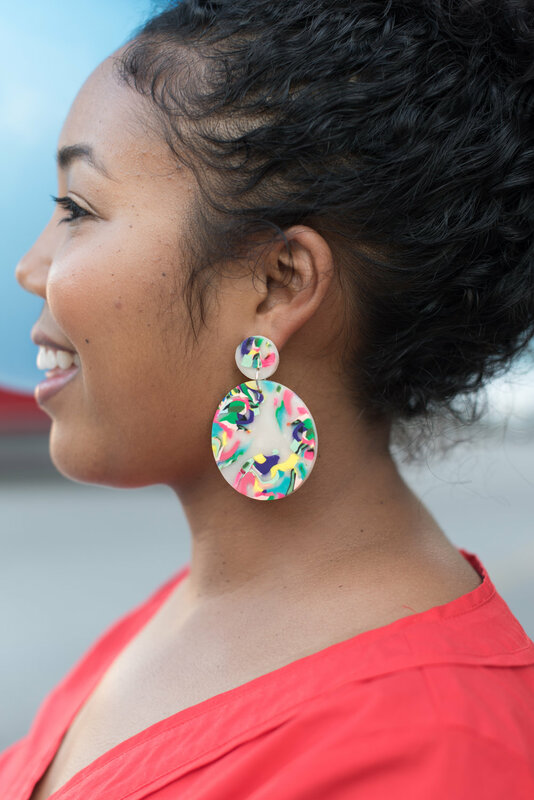 Many of you frequent our shop to get your fix of the amazing clay earrings created by BR Design Co. Their pieces are all one of a kind handmade creations, so you can truly have a unique piece of jewelry for a really great price (studs start at just $14). Learn a little more about their company below! Cassandra and Carlene have been making and selling clay jewelry from ages 8 and 5 yrs old and you can still find them popping up at local markets around town or at the Night Market. They are also skilled makers of macrame and create beautiful plant hangers. Textured Neutrals. I love how organic they feel. They were inspired by Greece and all the old architectural there. their clay creations never stick around our store for very long!